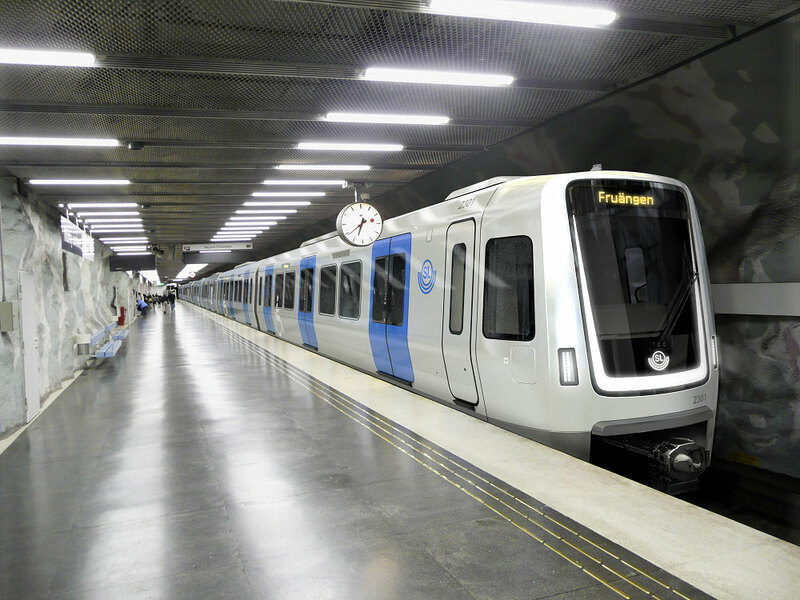 Bombardier is has finalized the design of its Movia C30 metro for the Swedish city of Stockholm. Comparing it to the preliminary design from 2015, the exterior and trim have changed. 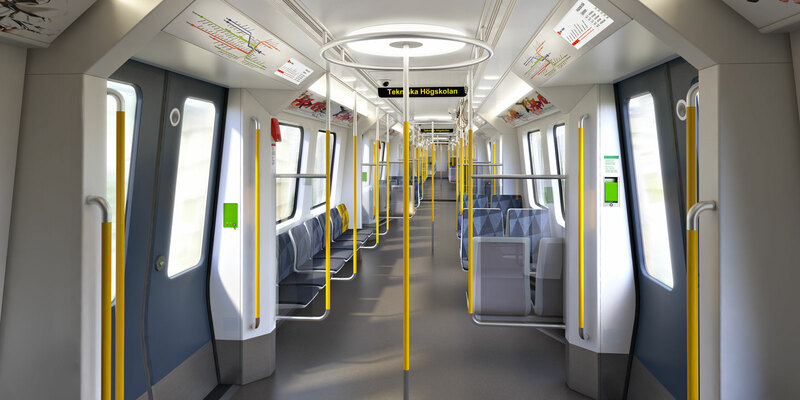 Bombardier states that the final design is a ‘clear expression of Scandinavian style that will become an unmistakable city icon’. Other images that were published in 2015 show more of the interior. We will have to wait for the final design to see how these will materialize. Bombardier is currently building the first sets at its factory in Hennigsdorf. 96 4-car consists were ordered back in 2013, with 80 as option. They will be used on the Red Line in the city, which is being extended. The Movia C30 metros are prepared for fully automated, driver-less operation. 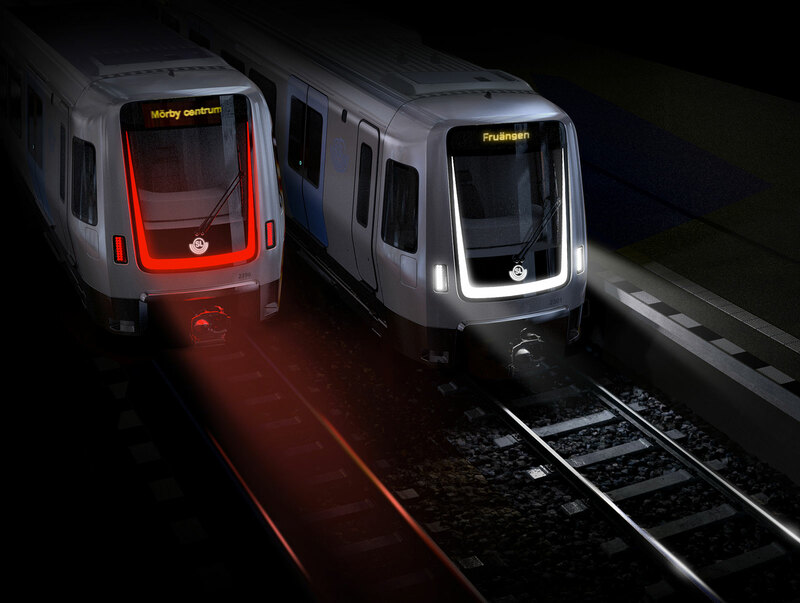 One of the most striking features of the exterior of Stockholm’s new metro trains is its custom LED lighting, see image below. The V-shape of the lighting units is part of Bombardier’s corporate identity and since 2010/2011 part of the front design of many Bombardier products, e.g. the Zefiro for China, Traxx AC3 locomotives and the Innovia monorail.